I love the Masters. We get a lot of questions about our blog name, LobShots, and if it has anything to do with golf, tennis, water polo or some other weird sport. The answer is always the same…no. However, cheers to the one week out of the year we’re totally cool with being associated with golf. Again, I love the Masters. 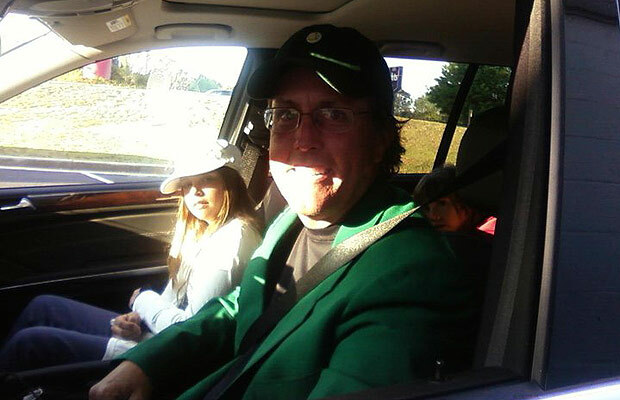 Most of our readers probably take the Happy approach to the Masters… green jacket, gold jacket…who gives a sh*t? Well, we do. Arnold Palmer and Jack Nicklaus, the two honorary starters and legends with 10 Masters titles between them got the ball rolling this morning, Now, the stage is officially set for Tiger to get crushed by Lefty. Phil Mickelson has a swagger in his step, my friends. Last week, I think I saw him look up and say “Lefty learned how to putt…uh-oh!” Phil found his touch on the putting green at the Shell Houston Open last week and hopefully, our native San Diegan can carry that momentum to Augusta National. No need to rehash Tiger Woods’ woes over the past couple years, but dang… just seems like he can not close out anymore. 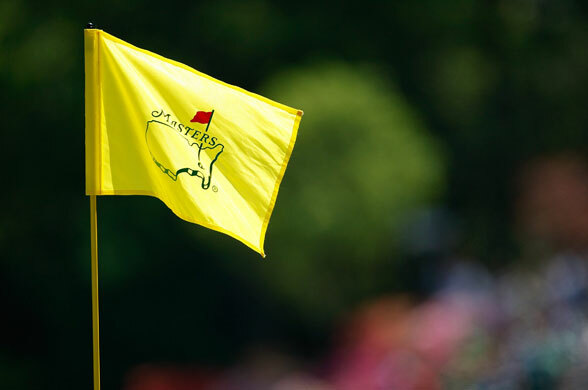 I will say this, even though Tiger’s decision making has been suspect lately… if he’s gonna make a run this year, Augusta is like his personal golf course, so watch out Lefty. 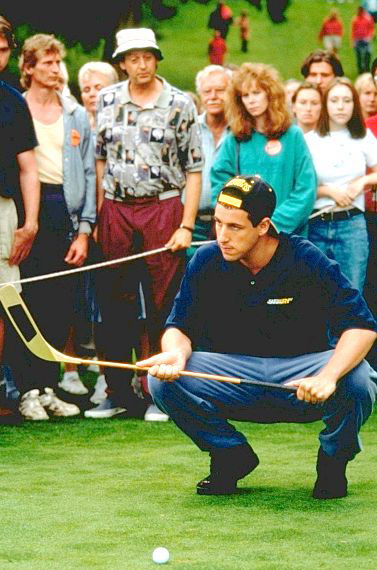 Even though Lefty’s got all the momentum in the world with him right now, wouldn’t it be just like Tiger to wait for the field to finally feel like he isn’t a threat and then, boom… crush them all and win The Masters by like 10 strokes? Don’t say I didn’t warn you, Phil. Here’s to wishing some clown in the Krispy Kreme drive thru window has their cell phone camera ready for round 2… go get ’em Lefty. This entry was posted in Celebrities, Events, Golf, Sports and tagged Arnold Palmer, gold jacket...who gives a sh*t, green jacket, Happy Gilmore, Jack Nicklaus, Krispy Kreme, Lefty, Masters, Phil Mickelson, Shell Houston Open, the Masters, Tiger, Tiger Woods. Bookmark the permalink.